Why do the World Bank’s new indicators, “Enabling the Business of Agriculture” pose a threat to African agriculture? AGRA Watch has long been concerned with the Gates Foundation’s funding for agri-business and pro-corporate agricultural policies in Africa. However, what was at first a simple model of philanthrocapitalism—the use of apparent philanthropy to expand globally-integrated capitalist markets—has now turned into a full-throated effort to coerce states into embracing pro-market reforms. The “Enabling the Business of Agriculture” indicators (EBAs) represent a step in this direction by measuring and monitoring the implementation of corporate regulatory regimes across the world. The EBAs were developed by the World Bank in 2013 with approximately $4.5 million from the Gates Foundation and other national development agencies. As the 2016 World Bank report notes, these indicators were constructed to enable “policymakers to identify and analyze legal barriers for the business of agriculture and to quantify transaction costs of dealing with government regulations.” The EBAs rank countries across six areas of the agricultural supply chain based on how favorable the World Bank considers a country’s regulations are for agribusiness. The indicators thus provide a guidebook for donor agencies to determine funding and the conditions for foreign aid and investment. Indeed, the EBAs are part of a larger web of foreign-driven aid initiatives and public-private partnerships that include the G8’s New Alliance for Food Security and Nutrition, the Gates Foundation, and the Alliance for a Green Revolution in Africa. Each of the initiatives have worked aggressively to encourage pro-corporate reform of African agriculture. The EBAs were developed to further that goal, concealing the neocolonial effort to expropriate African agriculture under the guise of “smart regulation” and “good governance.” They largely ignore the impact to small-scale producers and workers (such as debt, dispossession of land, or displacement to urban areas), implicitly prioritizing commercialization over the effects on local communities. Indicators are a technology of global governance that allow institutions, states, and organizations to measure, evaluate, and rank entities’ performance of particular actions or compliance with a specific set of norms. Because indicators are quantified measurements, they often appear neutral and value-free. However, they reflect particular theories about social relations and social change. As anthropologist Sally Merry argues in her book, The Seductions of Quantification, “indicators are part of a regime of power based on the collection and analysis of data and their representation. It is important to see who is creating the indicators, where these people come from, and what expertise they have. Rather than revealing the truth, indicators create it” (2016: 5). To understand the power of the EBAs, therefore, it is important to understand how they were constructed. The World Bank describes the development of the EBAs as a response to the challenges of global hunger. Hence, the Bank justifies the EBAs as a way to eradicate hunger and achieve greater food security through the global market, a theory that rests on the assumption that the problem of hunger is the result of inadequate production. In its introduction the report explains,, “growing food demands call for greater attention to strategies to develop the business of agriculture” (2016: xi). In approaching hunger from the perspective of food scarcity, the EBAs thus seek to legitimate a vision of agro-industrial production, commercialization, and privatization. However, this perspective on hunger as being merely the result of food scarcity overlooks the vast inequalities of distribution even when there is adequate food production. La Via Campesina, the international movement of peasant farmers, and other social movements and activists have been in a protracted battle over this approach, which often dispossesses small-scale producers, exacerbating hunger and malnutrition. Indeed, the EBAs primarily measure agricultural production in places where small-scale producers make up a majority of food producers. For these farmers, commercialization means creating markets along the supply chain to displace the current public support and non-market practices, such as farmer-managed seed systems and low-input or agroecological farming. Encouraging these reforms thus means vertically integrating smallholders into global food markets. The result, as the Oakland Institute argues, “quickly generates a race to the bottom between the poorest countries that wish to appear more agribusiness-friendly in order to attract private investments.” Small-scale producers and workers have therefore advocated for solutions that strengthen local markets and their own capacities. Rather than asking what role the private sector should play or how African food security can be supported, the EBAs evade these debates, concealing a vast terrain of struggle behind seemingly-impartial tools of measurement. The EBAs advocate a vision of “efficient” and “smart” regulation in which the seed is developed, produced, and distributed through the market. The indicators therefore encourage the extension of patents and plant breeders’ rights and the commercialization (rather than public distribution) of seed. For example, the report decries Ethiopia’s “public monopoly” on the seed industry, claiming that it has led to public shortages for small-scale producers and agribusiness. Thus, rather than ranking countries on the access to seeds by small-scale producers, the EBAs rank countries on whether or not commercial breeders have access to public seed varieties. In doing so, the EBAs reduce the politically charged field of contest into a technocratic exercise. Tanzania offers another case in point. Under pressure from the G8 New Alliance, Tanzania enacted a new Plant Breeders’ Rights Act that was based on the 1991 International Union for the Protection of New Varieties of Plants (UPOV). These regulations seek to “formalize” the seed sector, by facilitating greater corporate sale of seed and criminalizing the sale of “unregistered” seed. As the African Centre for Biodiversity has reported, corporate sale of seed occupies only a small percent of the seed used (10%). Corporations therefore see agricultural input markets like the one in Tanzania as a major new market that has yet to be exploited. Yet this destroys “informal” or farmer-managed seed systems, which account for approximately 90% of all seed used. It is not only small-scale farmers who will suffer, by being dragged into a cycle of unsustainable debt, but the environment too. Indeed, corporately-dominated seed systems also vastly reduce biodiversity. 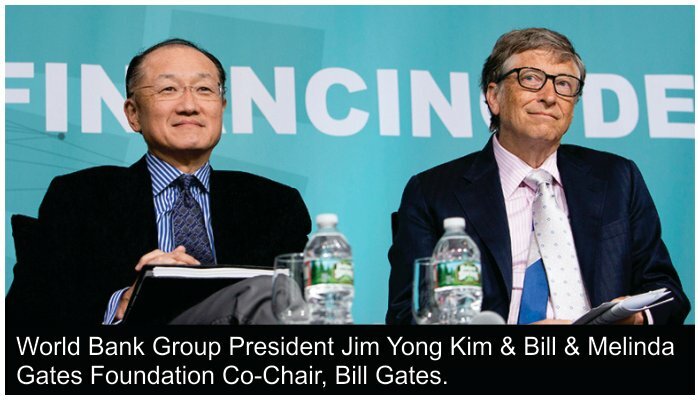 Nevertheless, the World Bank, G8 New Alliance, and the Gates Foundation are relentlessly pushing privatization. On Wednesday, January 18, over 157 organizations and academics from around the world jointly submitted a letter to the World Bank President and the EBA’s five Western donors (USAID, DFID, DANIDA, The Netherlands, and the Bill and Melinda Gates Foundation) denouncing the EBAs and demanding an immediate end to the project. Indeed, transnational coalitions of small-scale producers, workers, and activists are increasingly asking who this aid benefits. Today it is clear that these initiatives benefit multi-national corporations, not the small-scale producers who they claim to help. AGRA Watch is working with organizations in African civil society to challenge the Seattle-based Bill and Melinda Gates Foundation, a key player in the EBA project, in their support of this model of market-based industrial agricultural development through initiatives like the multi-million dollar Alliance for a Green Revolution in Africa that is securing Africa as a resource pool for high-tech, profit-driven agendas of transnational corporations and foreign policy actors. AGRA Watch supports African-initiated program rooted in agroecological and indigenous farming practices, social equity, and food sovereignty.